Implementing an effective Drug Free Workplace program takes thoughtful consideration of what you are trying to accomplish, how you want to accomplish it, how much it will cost and how much it will save you company money. The first step is to develop a comprehensive policy. Establishing a comprehensive drug-free workplace program may be the best means of preventing, detecting, and dealing with substance abusers. Your policy should include the company’s philosophy about alcohol and other drug use and abuse, the business reasons you are instituting a Drug Free Work Place program, your commitment to providing a safe workplace, a clear statement of what is prohibited behavior, definition of terms, the consequences of violating the policy, the state and federal regulations that impact your company and your employees, the elements of your program, fitness for duty issues, and the procedures for implementing and maintaining the program. This should be your company’s policy, and it should be tied to other policies and programs, like time and attendance, health care coverage, disciplinary procedures, or family medical leave. In developing a policy and procedure that works best for your company, you will need to make numerous decisions. These decisions need to be made before you attempt to implement the program. Senior leadership and upper and middle managers need to be consulted and a consensus reached. You will have a more successful program if you have everyone on board. It must be communicated to employees. It must be followed consistently. Your company should have a written policy that clearly states what is expected of employees and the consequences of policy violations. There need to be training for management personnel and others responsible for identifying and dealing with suspected substance abusers. You may also want to consider pre-employment testing to prevent the hiring of workers who use illegal drugs; and reasonable suspicion, post-accident and follow-up testing available as other options to consider. 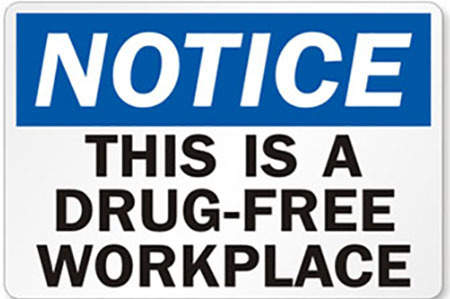 A lawyer can help you clearly and effectively plan your Drug Free Workplace Policy. 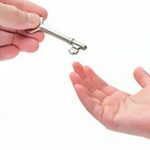 How to Transfer Your Family Business What are the 4 Types of Adoption in Florida?